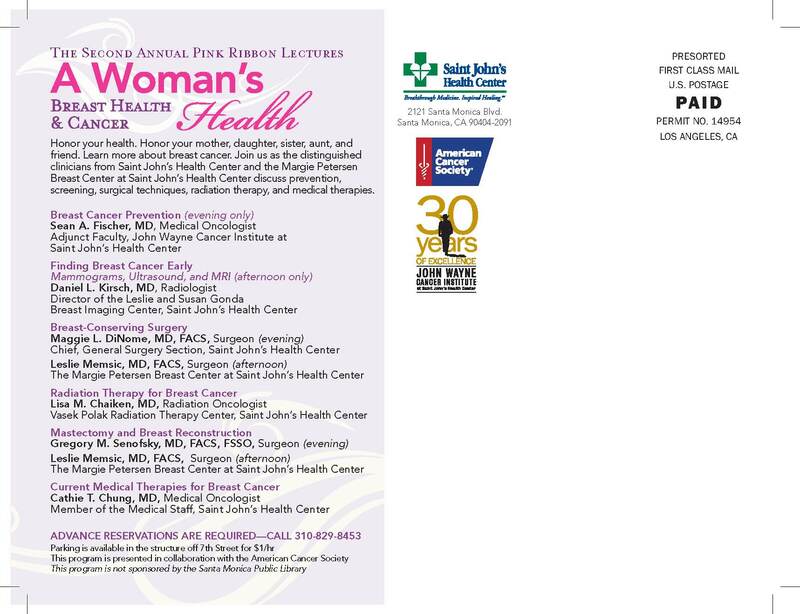 In order to better educate women and men on prevention, detection, and diagnosis, St. John’s Hospital and the American Cancer Association is hosting a free two day lecture made possible through a grant from The Harold McAlister Charitable Foundation. 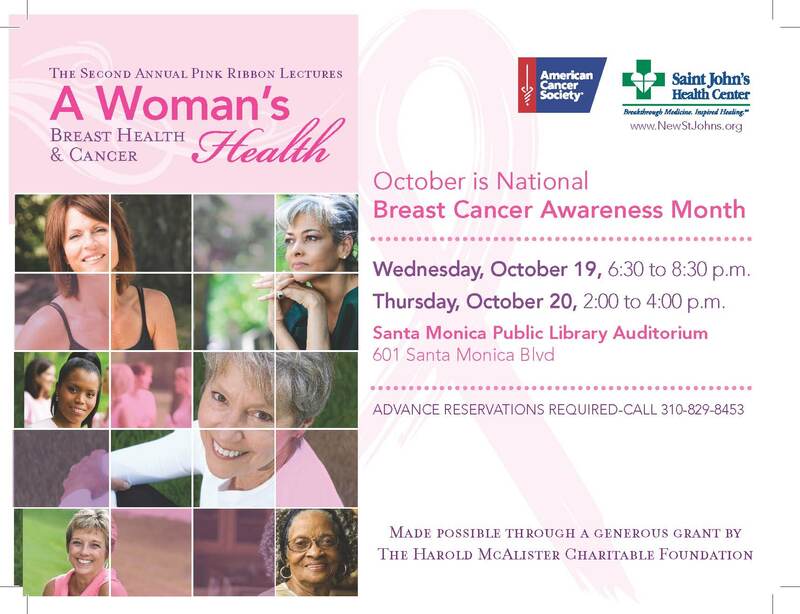 The Second Annual Pink Ribbon Lecture will be held at the Santa Monica Public Library Auditorium on Wednesday, October 19, 2011 and Thursday, October 20, 2011. 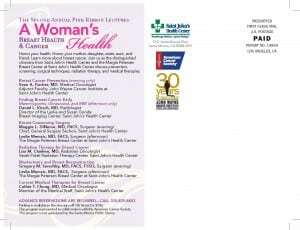 Jacqui White, Assistant Vice President and St. John’s Hospital Volunteer will be assisting in the organization of this week’s event. 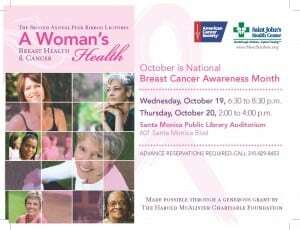 “By staying informed, we can save a life. I am looking forward to listening to the different doctors on the panel who will discuss everything from prevention to surgery,” says Jacqui.